Revolabs has entered into a definitive agreement to be acquired by Yamaha Corporation. The merger of the two companies will help Yamaha further grow its enterprise presence for audio equipment. Yamaha has also been developing, manufacturing, and selling voice communication devices and professional audio equipment for the expanding audio equipment market for many years, and the sharing of product lines, technology, know-how, and sales networks of both companies will enable the Yamaha Group to provide high-quality solutions for the diversifying needs of the market. "With the market for conference room equipment expected to expand worldwide, I am extremely happy to welcome Revolabs — a company that has earned a high level of trust from customers and grown rapidly in this market — as a member of the Yamaha Group," said Takuya Nakata, president of Yamaha Corporation. "Revolabs' ethos of creating products that provide value for customers with strong technical capabilities as a base meshes well with the Yamaha Group's corporate philosophy. By combining Revolabs' wireless microphone systems and wireless conference phones with Yamaha's voice communication devices and professional audio equipment, we expect to be able to create even more appealing solutions for our customers. In the future we aim to accelerate our progress in expanding sales in the electronics business domain, one of the goals announced in the Yamaha Management Plan 2016, our medium-term management plan, by combining the technology and know-how of both companies." Revolabs will continue to operate as a wholly-owned subsidiary of Yamaha Corporation and execute on its existing roadmap with the current management team. The transaction is expected to be completed by the end of March 2014 after receipt of customary regulatory approvals. Moelis & Company acted as the exclusive financial advisor and Latham & Watkins LLP acted as legal advisor to Revolabs in connection with the transaction. 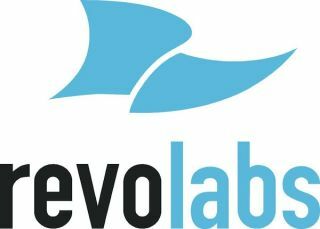 "Since we started the company in 2005, Revolabs has shown an ability to innovate and bring exciting products to the market," said Jean-Pierre Carney, CEO and founder of Revolabs. "We've grown a strong team, have an exciting roadmap with industry-leading technology, and were already on track to more than double our revenues this year. Taking advantage of the strengths of the two companies will make our solutions stronger and expand our reach around the globe. There are a lot of great synergies between Yamaha and Revolabs, and our customers will receive the most benefit from this merger."